Vice Adm. Phil Sawyer, commander of U.S. 7th Fleet, awards the Navy and Marine Corps Commendation Medal to 36 crew members of the Arleigh Burke-class guided-missile destroyer USS Fitzgerald (DDG 62) who distinguished themselves for their bravery and contributions to damage control efforts after a collision with a merchant vessel on June 17, 2017. US Navy photo. The Navy awarded 36 USS Fitzgerald (DDG-62) sailors for their bravery and successful damage-control efforts following a June 17 collision that killed seven of their shipmates. 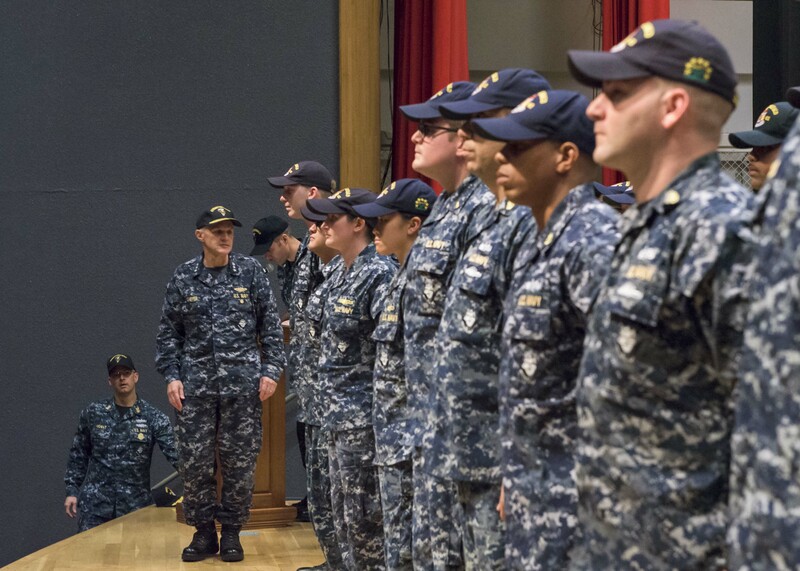 In a ceremony today, Vice Adm. Phil Sawyer, commander of U.S. 7th Fleet, awarded the Navy and Marine Corps Commendation Medal to 36 Fitzgerald sailors and a Flag Letter of Commendation to the ship’s two ombudsmen for their support to families. “Following the collision, which claimed the lives of seven Fitzgerald Sailors, the crew fought back against progressive flooding across 19 spaces for more than 16 consecutive hours,” according to a Navy news release. The Navy and Marine Corps Commendation Medal is awarded to those who “distinguish themselves by heroism, outstanding achievement or meritorious service,” according to the release. The citations for the two Flag Letters of Commendation outline actions taken in the chaotic aftermath of the collision. 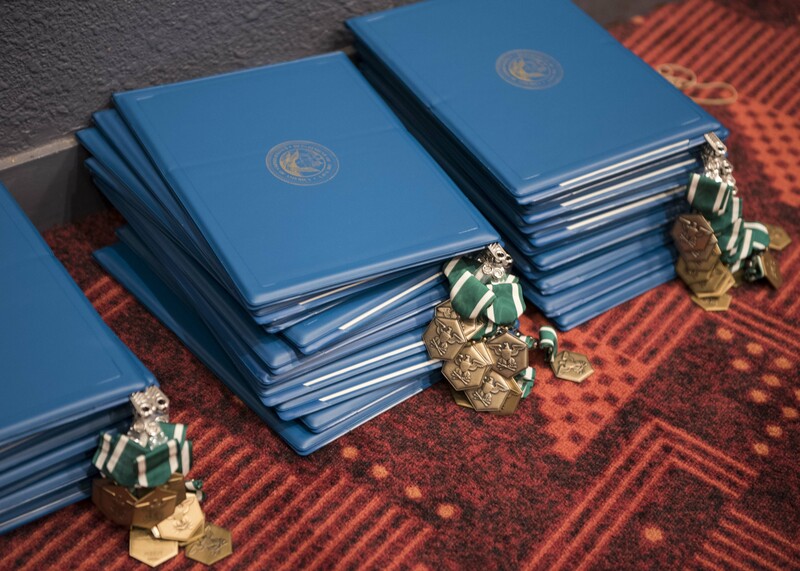 Navy and Marine Corps Commendation Medals and citations are staged for presentation to 36 Sailors assigned to the guided-missile destroyer USS Fitzgerald (DDG 62) during an awards ceremony in Yokosuka, Japan. US Navy photo.